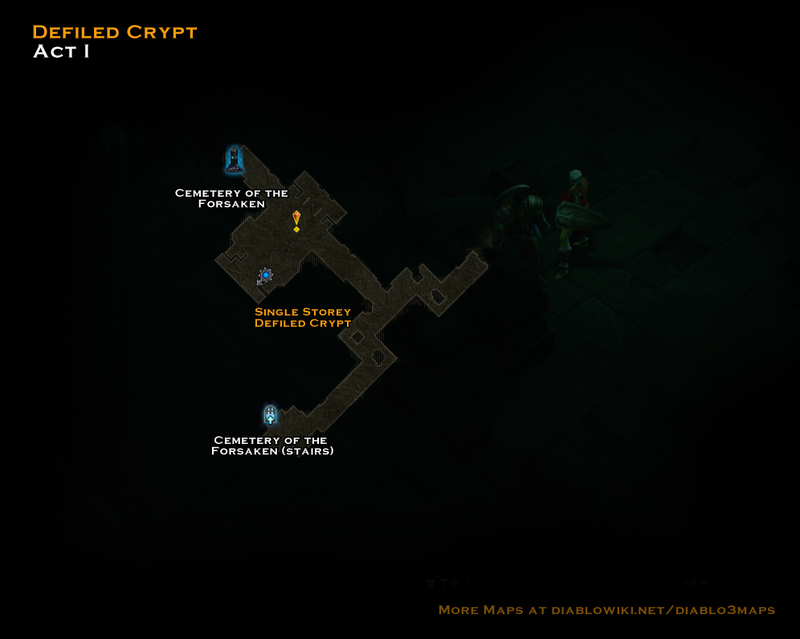 The Defiled Crypt is located within Act I, below the Cemetery of the Forsaken. There are always three different entrances available out of a possible four. 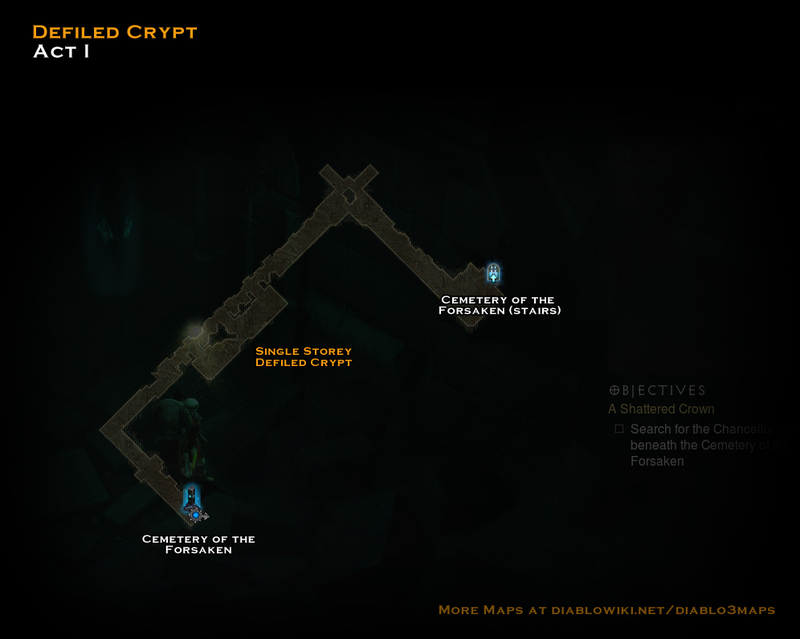 One of the three Crypts will have a second level that leads down to the Chancellor's Tomb, it's a very small level and always with the same layout. 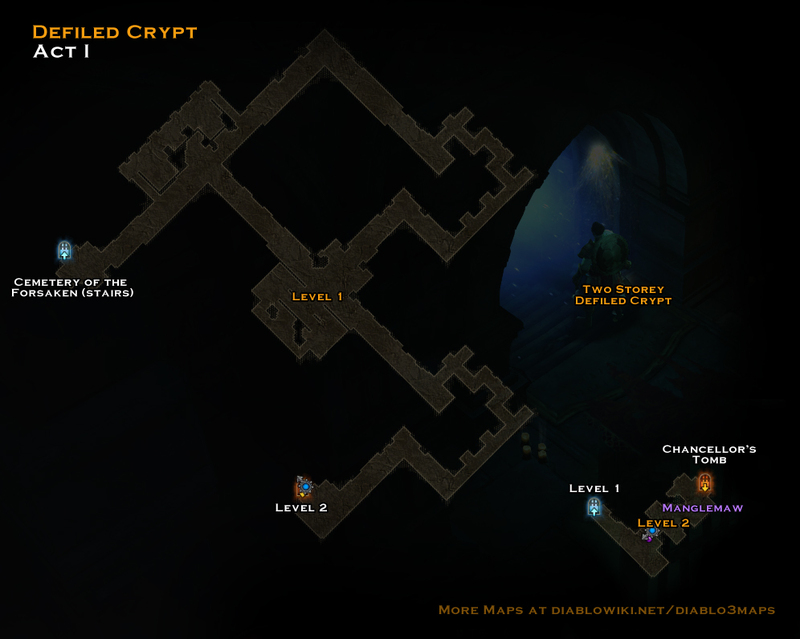 Level 2 is always the same configuration but there can be slight variations to level 1. This page was last edited on 23 November 2012, at 01:15.